Wow time flies really fast and it is now my 3rd and last day in Paris. I woke up at about 6:30am and walked towards the Javel Metro Station to take a RER-C train to Versailles. It is another early day for me as I wanted to get to Versailles before the crowd started coming in. When I got to the station to buy my return ticket between Paris and Versailles, I learnt that the automated machines do not accept Euro Notes, and your only option to buy a ticket is to pay in coins or via credit card (of course you could buy a ticket from a manned ticket office but they were not yet open at my intended departure time). 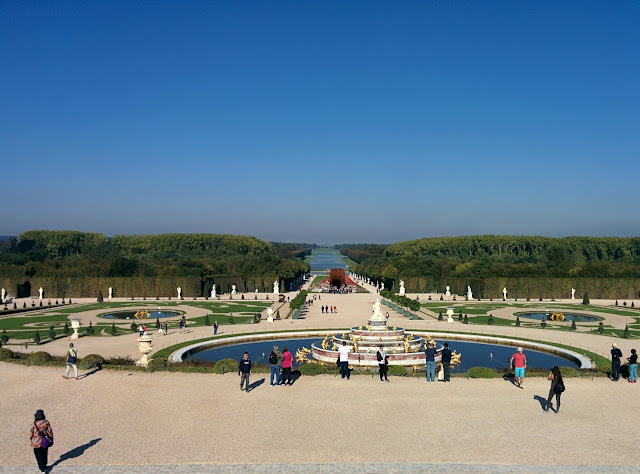 Arriving at Versailles, I had a buffet breakfast from Ibis (just a minute or so from the Versailles train station) which i felt was pretty reasonable at 10.50 Euro, and offered a varied and wholesome food of pastry, deli meat, cheese, fruits, yoghurt and of course a coffee machine. 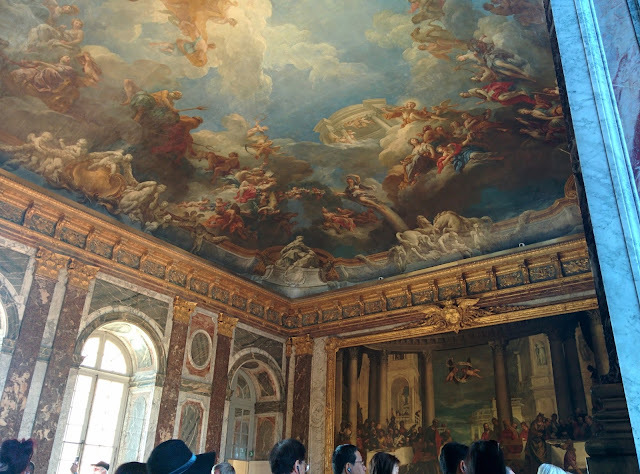 Once I finished breakfast, I headed over to Versailles Palace to join the security queue to get into the palace. 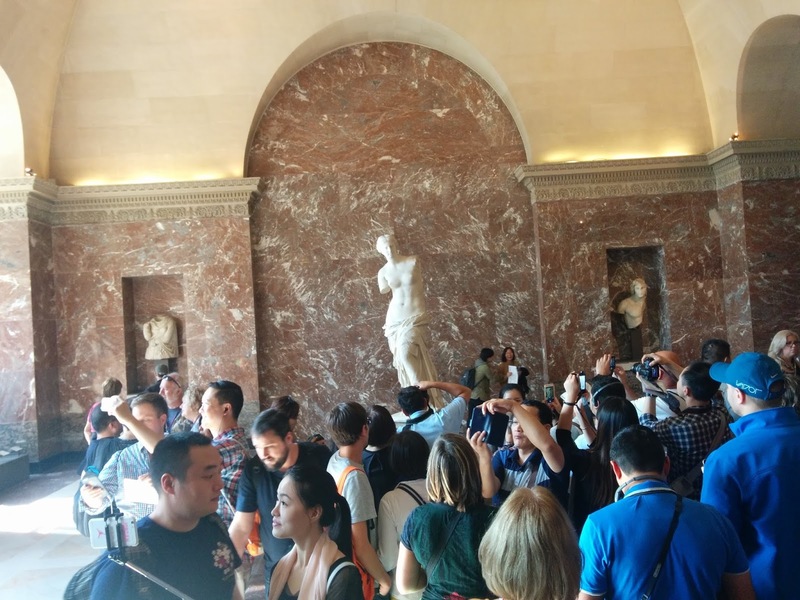 Just like many museums in Paris, buying a Paris Museum Pass allows you to skip the ticket office line and go directly to the security line. (Who likes spending their holiday stuck in unnecessary lines). As I walked into the palace complex, I can't help but be amazed at how extravagant the palace was and that I am actually visiting the palace where the King of France used to live. 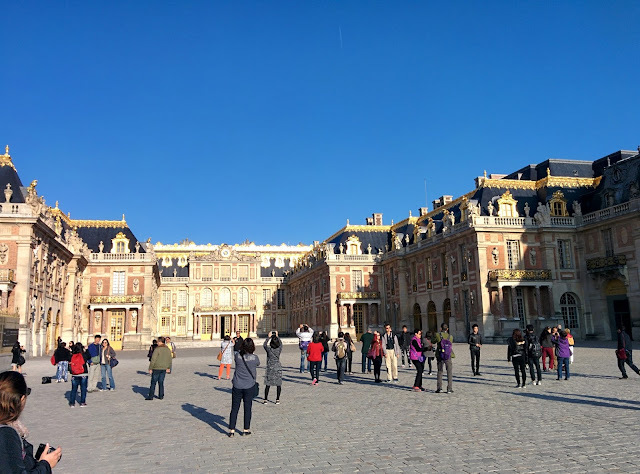 After passing through the security, I entered the palace and collected the free audio tour device that provides a narration as you walk through the palace. The interior of the palace is just as extravagant as the exterior and is definitely one of the must visit attractions in Paris. 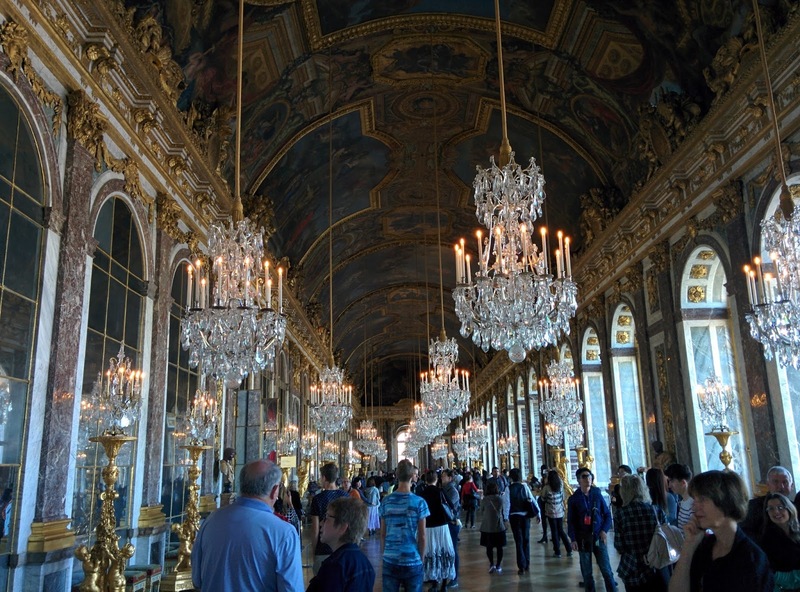 My favourite room in the palace was the hall of mirrors (see cover photo at the top of this post), but pretty much any room you walk through is full of gold and oil paintings. 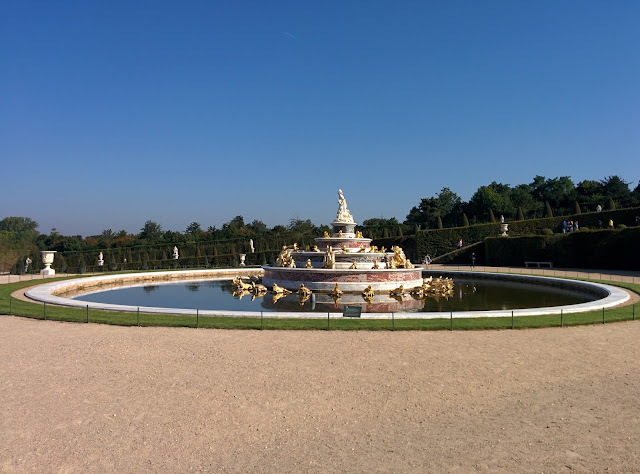 Having finished going through the palace, I was glad to be able to go out to the gardens and escape the crowds. Although going through the palace was an enjoyable experience, it was very crowded (even though I entered the palace early in the morning). The gardens in the palace provide just the exact contrast that allows you to just get lost in it's vast greenery. I personally loved having the chance to just walk around the gardens and enjoy the nice sunny weather. 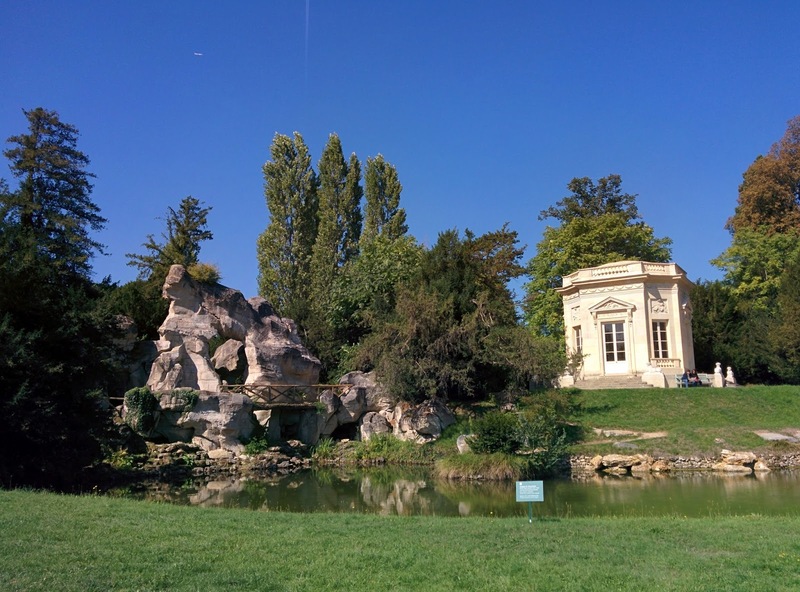 If you have time I highly recommend spending some time (a few hours) visiting the Domaine de Marie Antoinette featuring the Queen's Hamlet. 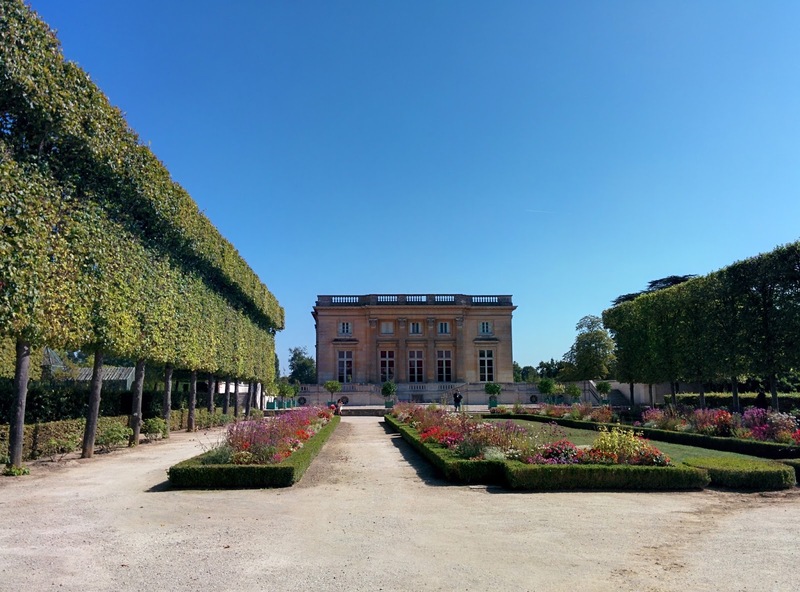 Having explored the gardens close to the Versailles Palace, I started walking towards the Grand Trianon (which is a small palace used by the King to escape from the pressures of Kingship in the Versailles Palace) and Domaine de Marie Antoinette. 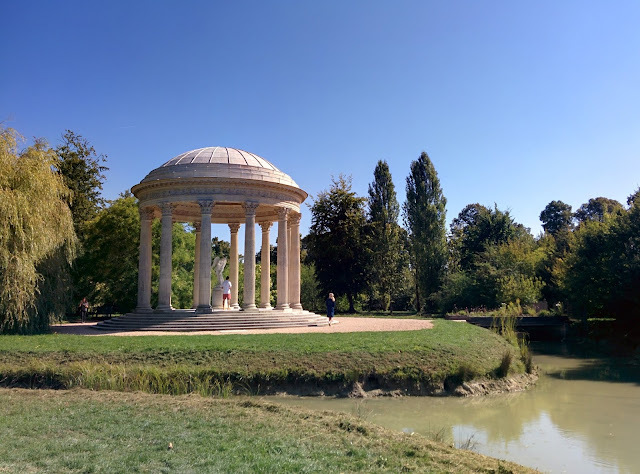 I think it is about 30 minutes walk away from the Chateau (you can also take the tram or rent a bike), so make sure you have enough time to enjoy the area and not have to rush back. I arrived a bit early and had not realised that it doesn't open until 12pm, so I had to wait outside for a little bit before finally being able to get in. The Trianon Palace itself was somewhat nice, but I walked through it at a reasonably fast pace so that I could get through to the Domaine. 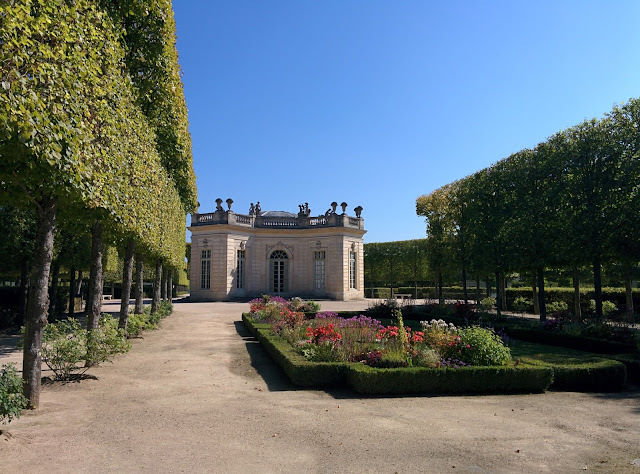 Out at the Domaine, it was the first time in Paris where it felt like I wasn't in the middle of large crowds of tourists and it almost seemed like I had the place to myself (almost literally). 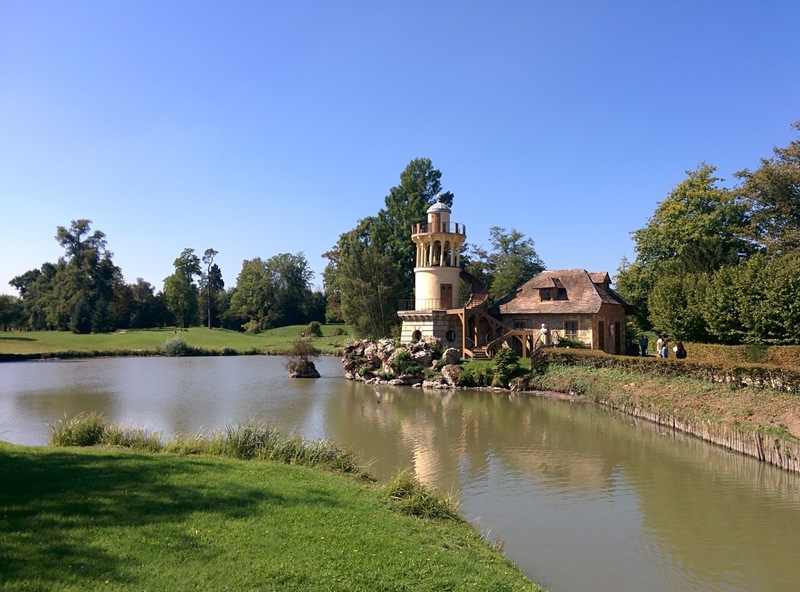 The domaine is so big, it is just a great opportunity recharge, walk around and get "lost". After I finished exploring the domaine, I exited the complex and headed to Angelina's close by who are meant to be famous for their hot chocolate to grab lunch and hot chocolate to go. Although there wasn't much special about their sandwich, the hot chocolate was certainly very good and recommend trying it out when you are close to the Grand Trianon. 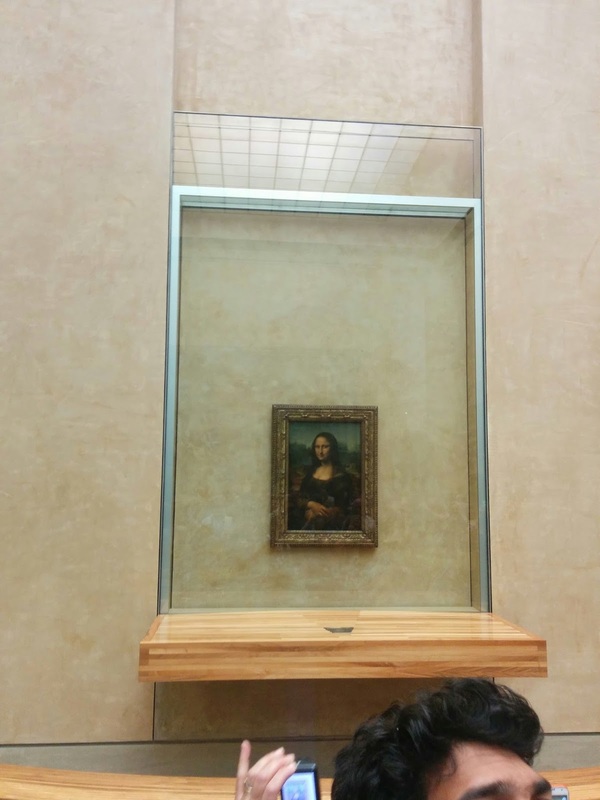 Once I finished up with lunch, I headed back to the train station to return back to Paris and visit the Louvre. The Louvre Museum is one of the stops in the RER-C route so getting from the Versailles Palace to the Louvre is easy (although I did somehow get off one stop too early). 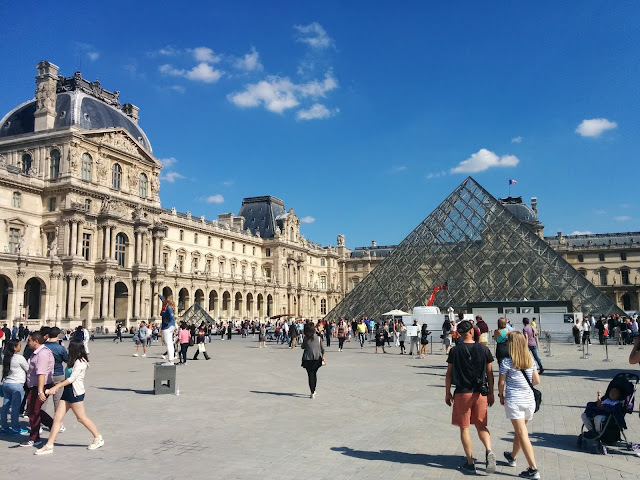 The Louvre is another landmark that I had seen in a movie (The Da Vinci Code) and along with the Eiffel tower was the two attractions I was most looking forward to seeing. 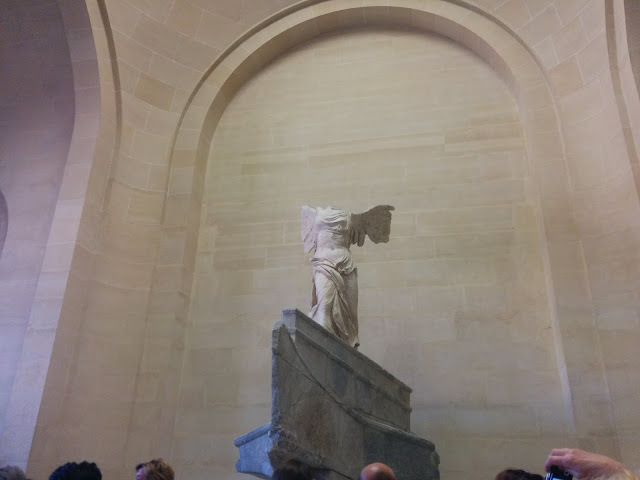 As I arrived at the Louvre, the Museum Pass again proved handy with entry via the priority lane. 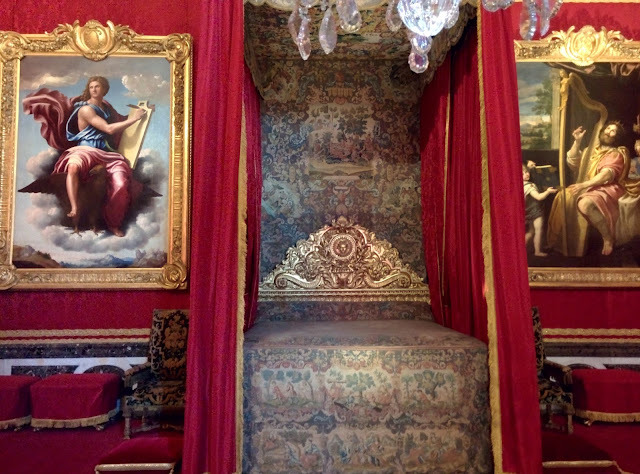 I don't know how much time I saved with the Paris Museum Pass, but I can imagine that I wouldn't have been able to get much done in the three days had it not been for this pass. 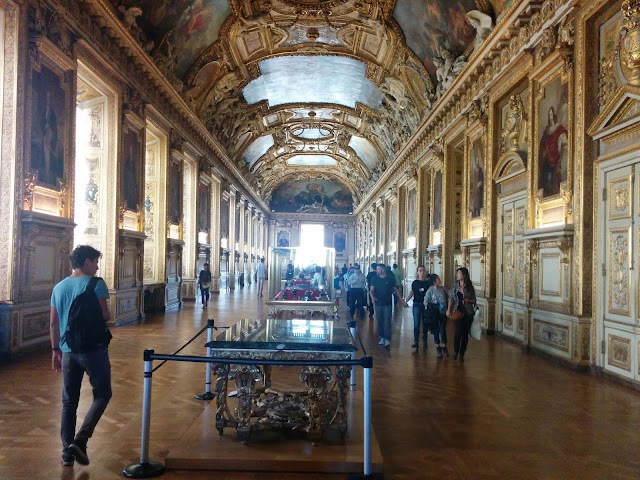 Once inside the Louvre, I again made use of the Rick Steve's mobile app to provide me with narration on the highlights inside the museum. I finished up at the Louvre early, grabbed some pastry for dinner and headed back to the hostel for an early night.